Mr Freud started coming to the little cafe at the back of my shop about 15 years ago. I didn’t know it then, but he worked close by in a studio in Holland Park, so we were quite convenient for him. Soon after this, he bought a house a few doors along the street from us and from then on became more and more of a regular. He would come for breakfast and lunch often, bringing with him whoever he was working with at the time – Leigh Bowery, Kate Moss, David Hockney…Often, he would invite me to join him and David [David Dawson, his assistant] – I loved watching him enjoy the little Portuguese custard tarts that we make. He had a very sweet tooth. Sally Clarke is chef patron of Clarke’s Restaurant in Notting Hill. As a pioneer for seasonality and traceability, Sally celebrated 25 successful years of Clarke’s in December 2009. 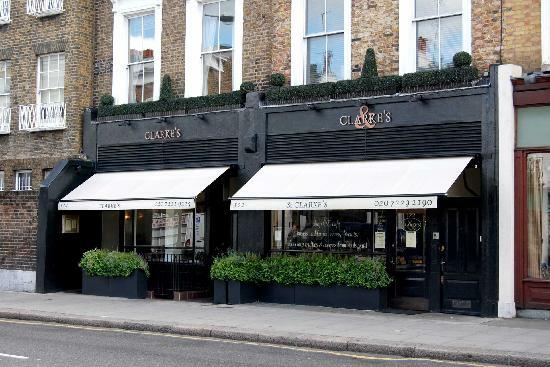 Clarke’s was reviewed in the Guardian on Saturday, 25 October 2014. 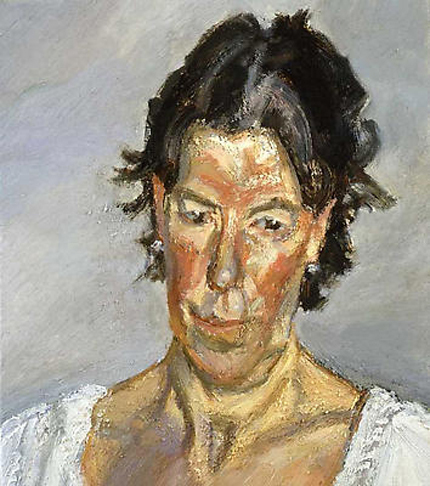 Lucian Freud [1922-2011] was a portrait painter who lived a good deal of his life in seedy Paddington. His painting of the Queen had to have the canvas extended upwards to include the crown, so she was recognisable.